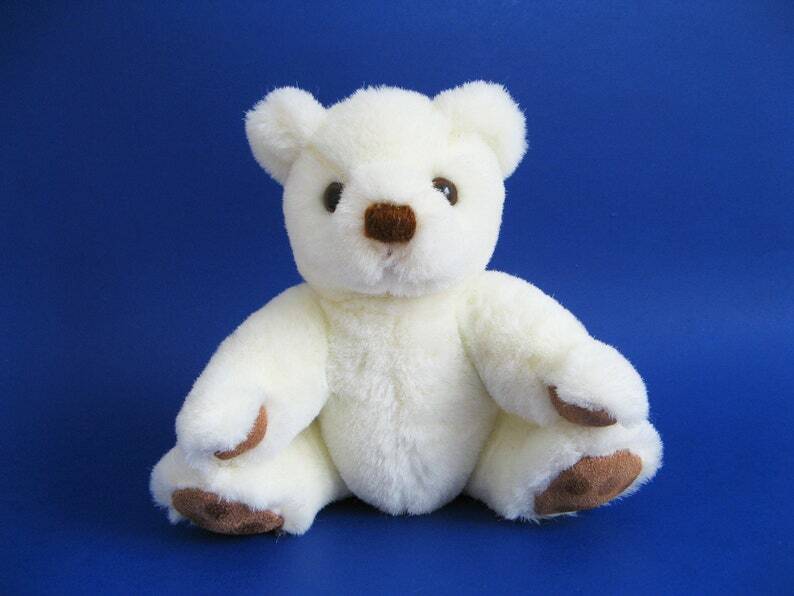 Adorable vintage small white Teddy Bear by Gund. Jointed head, arms & legs that move. This is one super sweet small bear!